No one wants to worry about a furnace or heat pump repair in the middle of winter when you rely on it the most. Luckily, Air Today is here to help repair, replace or maintain your heating system. You can count on our service experts to keep your family comfortable day and night. That’s because, at Air Today, we emphasize customer service and care and want to satisfy your needs. 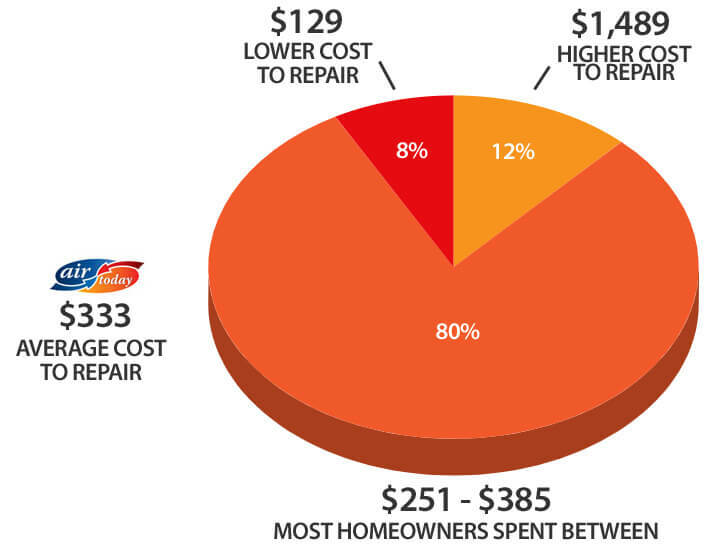 Cost is usually the first concern a homeowner has when the need for a furnace or a heat pump repair arises. Air Today strives to be Charlotte’s best HVAC company. So when you have an inconvenient heating breakdown, we’re here for you. Your heating system cycles on and off frequently. Your heating system runs longer than usual to produce the same heat. The heat coming out of your registers is barely warm or not warm at all. Your home has uneven temperatures throughout it. Your heating bills are higher without an increase to utility prices. The need for a furnace repair can come at an inconvenient time, causing discomfort and worry. If you find yourself in need of a furnace repair, call the trusted team at Air Today. We’re here to fix your furnace as fast as possible to keep you comfortable day and night. While some furnace problems pop up unexpectedly, the warning signs have been present for a while. Calling when you experience the first signs of trouble can keep you from being without heat when you need it. Air Today provides a one-year guarantee for parts and labor on all heating repairs. Your furnace is more than 10 years old. Your furnace requires constant repairs. Your heating expenses are rising because of decreased efficiency. Preventive heating maintenance should never be overlooked. Air Today provides reliable furnace and heat pump maintenance services, and we also perform heater tune-ups. Investing in this service will help you protect your system as well as your home comfort and safety throughout the colder season. In fact, it’s recommended by equipment manufacturers and required to keep warranties valid. Like your vehicle, your furnace or heat pump needs regular maintenance and a tune-up to avoid inconvenient breakdowns. Our valued maintenance members receive a two-year guarantee on parts and labor. Ready to schedule your heating service in Charlotte, Rock Hill, Gastonia, Monroe, Mooresville, Waxhaw, Weddington, or the surrounding areas in North and South Carolina? Contact Air Today to speak with one of our knowledgeable comfort advisors.